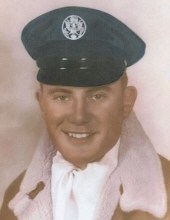 Larry Dean Williams, 89, of Midwest City, OK, died April 8th, 2019 in Midwest City, OK. He was born on January 25th, 1930 in Canova, SD to John T. and Ellen A. Williams. He graduated High School in Canova, attended college at Yankton, SD and later received his Master’s degree at the University of Oklahoma in Norman, OK. Larry had many different occupations beginning in College as an “on Air” announcer for the “Lawrence Welk Show” where he used the name “Larry Dean”. After College he began his career in the United States Air Force where he met his bride and proudly served his country on domestic and foreign soil during peace-time and conflict for nearly thirty years. Larry received numerous campaign and service medals including the Legion of Merit. After retiring from the Air Force, Larry and his beloved wife, “Jani” began a new adventure as “fine jewelers” traveling the country in their motor-home to attend fairs, rallies and trade shows. Larry enjoyed many activities as a young man as well as during his retirement. He traveled extensively throughout the U.S., Canada and Mexico. He loved to “tinker” in the garage or his shop repairing jewelry or just repairing broken items for the neighbors. He was an avid “collector” of gadgets and various “toys”. He also spent time reading and loved to “talk politics” or continually brag on his beloved Oklahoma Sooners. Larry also sang for many years in various Church Choirs. Over the years, he accumulated many close friends, both in Oklahoma and across the country. Larry was preceded in death by his parents, John T. and Ellen A. Williams; his wife, of 60 years, Joyce Jan Kaley Williams; two children, Laurie Ann and Timothy Allen; and his two sisters, Gloria Feske and Betty Ann Young. He is survived by his three children: Jeffery Kaley Williams (wife, Leean) of Texas, Kristie Ann McGuire (husband, Kevin) of Colorado and Jerry Jay Williams of Oklahoma City, OK; five granddaughters: Kaley, Lindsey, Stephanie, Kelsey and Juliana; four great-granddaughters: Madeline, Daryn, Reagan and Charlotte; one sister, Lois Chamberlain (husband, Bill) of Arizona and many nieces and nephews. Memorial Services will be held on Monday, April 15th, 2019 at St. Matthews United Methodist Church, 300 N. Air Depot Blvd., Midwest City, OK at 11:00 a.m. Burial with military honors will be held at a later date with interment in Red Cloud, Nebraska. To send flowers or a remembrance gift to the family of Larry D. Williams, please visit our Tribute Store. 300 N. Air Depot Blvd. "Email Address" would like to share the life celebration of Larry D. Williams. Click on the "link" to go to share a favorite memory or leave a condolence message for the family.